One interesting feature of the Flower of Life is that evidence of its importance can be found in almost every major culture around the world. It can be seen in temples within the Forbidden City of China, in ancient synagogues in Israel, in the Buddhist temples of India and Japan, in the City of Ephesus in Turkey, carved into rock in Assyria, in Italian art from the 13th century, and in Cordoba, in ‘la Mezquita’ in Spain. 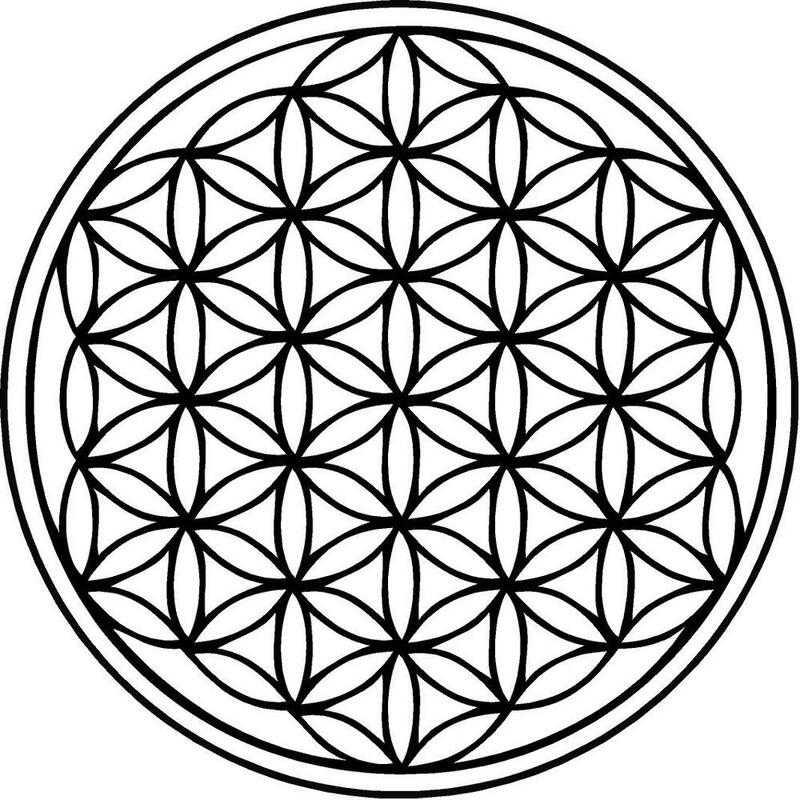 The oldest known examples of the Flower of Life are believed to be those present in the Temple of Osiris in Abydos, Egypt. Most archaeologists maintain that they are at least 6,000 years old, though some have argued that it dates to the 2nd century AD. The most peculiar feature of the Flower of Life in Abydos is that it appears that it was not carved into the granite but instead may have been burned into the granite or somehow drawn on it with incredible precision. It is thought to possibly represent the Eye of Ra, a symbol of the authority of the pharaoh. The Flower of Life and the Seed of Life can be found in all major religions of the world. They are linked by New Age authors with the Biblical prophet Enoch, the Archangel Metatron, the six days of Creation, the Vesica Piscis religious symbol, and Borromean rings. The Kabbalah, which has historically been studied by the followers of Judaism, also holds symbolic connections to the Flower of Life. The symbol of the Tree of Life, which may be derived from the design of the Flower of Life, is studied as part of the teachings of the Kabbalah. Additionally, the symbol of Metatron’s Cube, found by connecting the centres of each circle in the Fruit of Life, is seen in early Kabbalist scriptures. The ‘Seed of Life’ is formed from seven circles being placed with sixfold symmetry, forming a pattern of circles and lenses, which acts as a basic component of the Flower of Life’s design. According to some, the seed of life depicts the 7 days of creation in which God created life. The ‘Egg of Life’ is also a symbol composed of seven circles taken from the design of the Flower of Life.The shape of the Egg of Life is said to be the shape of a multi-cellular embryo in its first hours of creation. The ‘Fruit of Life’ symbol is composed of 13 circles taken from the design of the Flower of Life. It is said to be the blueprint of the universe, containing the basis for the design of every atom, molecular structure, life form, and everything in existence. It contains the geometric basis for the delineation of Metatron’s Cube, which brings forth the platonic solids. 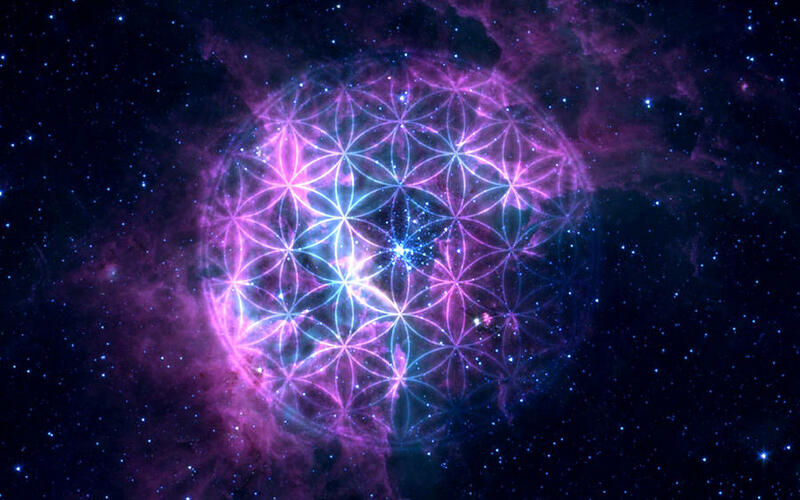 Metatron’s cube depicts the five platonic solids which may be derived form the flower of life. The five platonic solids are geometrical forms which are said to act as a template from which all life springs, according to spiritual belief. The Platonic solids are five structures that are crucial because they are the building blocks of organic life. These five structures are found in minerals, animated and organic life forms, sound, music, language, etc. Metatron’s cube is also considered a holy glyph, used to ward off evil spirits. The Kabbalah’s Tree of life is also thought to be derived from the flower of life.